Derrius Guice was once asked what defenses could do to stop him. His response: "The night before the game, I guess they'd have to kidnap me." Guice was simply unstoppable against the Eagles on Sunday and Philadelphia fans were probably wishing they had kidnapped the Redskins star running back before his record breaking performance. It was truly a spectacle for the ages as the Redskins destroyed the Eagles 35-6. Derrius Guice put down an AGS record 355 yards rushing and 4 touchdowns on just 23 carries. Routinely making defenders miss left and right, Guise did everything right on a day he will never forget. The Washington Redskins the first month and a half of the season looking more bad than awesome, taking one step toward respectability immediately followed by a baffling step back. Sunday was about starting off fresh and building off an impressive win. The Redskins third year back had his second 280+ yard rushing game of the season. He delivered the knockout punch with his dash to the open end of FedEx Field on an 87 yard TD run (longest play of the season for Guice). He found the end zone three more times to make it a career high four TD performance. ''They drafted me for a reason, I am the the very best,'' Guice said, adding later his only goal on his longest touchdown run ever against was simply to not get caught. “Honestly he was like a wild animal out there today. He was caged all week and it felt like the coach just unleashed him on the birds” said QB Alex Smith. Smith later said it was the single most impressive performance he has seen in his career. Guice’s extreme level of success lead to Redskins only attempting to pass the ball 12 times, Smith has sacked on 5 of those plays and finished the game 3-7 for 99 yards. The Eagles (1-6) were sloppy in being out-played in all three phases. 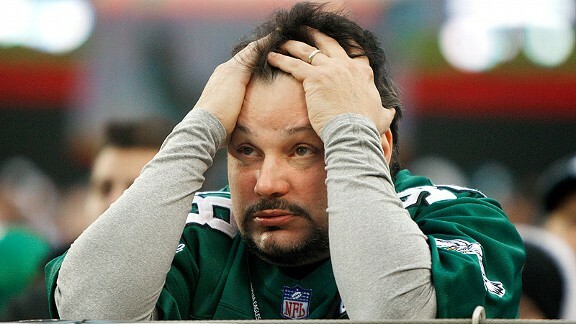 Philadelphia lost for the 6th straight game, and failed to secure a critical division win. Mason Rudolph, recently acquired from the Steelers, had some good moments but still ending up throwing 4 interceptions. One lone bright spot for the Eagles was battering ram Marcus Hunt who topped 100 yards rushing for the third time this year. Despite his lack of top speed, he continues to be an effective weapon for the Eagles. ''We know we've got a great offense, so when we're not able to put plays together and finish drives, it's definitely frustrating,'' running back Marcus Hunt' said. ''We've got to dust ourselves off and have a great second half to the season.''. The Eagles will look to regroup next Sunday when they play the the Dallas Cowboys while the Redskins take the Guice show to New York for a date with the Giants.